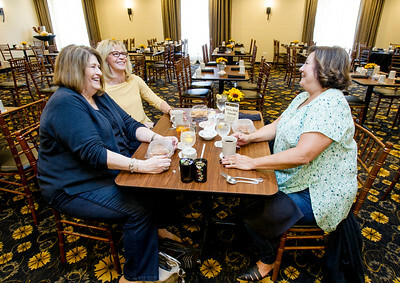 Sarah Nader - snader@shawmedia.com Sue Dominquez (left) of Johnsburg, Kendra Pfister of McHenry and Sandy Miller of McHenry enjoy lunch at Cafe 31 North in McHenry Tuesday. Oct. 18, 2016. The breakfast and lunch cafe opened their doors Oct. 10. Sarah Nader - snader@shawmedia.com Friends enjoy lunch at Cafe 31 North in McHenry Tuesday. Oct. 18, 2016. The breakfast and lunch cafe opened their doors Oct. 10. 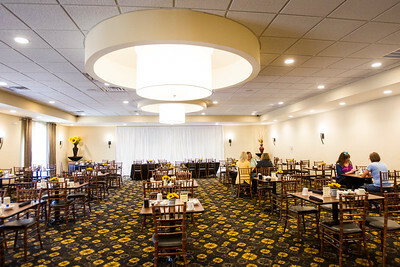 Sarah Nader - snader@shawmedia.com A view of the dinning room at Cafe 31 North in McHenry Tuesday. Oct. 18, 2016. The breakfast and lunch cafe opened their doors Oct. 10. 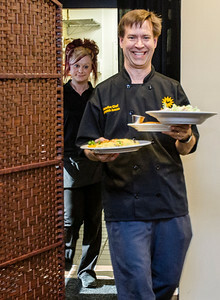 Sarah Nader - snader@shawmedia.com Chef Dominick Armon brings out food to customers at Cafe 31 North in McHenry Tuesday. Oct. 18, 2016. The breakfast and lunch cafe opened their doors Oct. 10. Friends enjoy lunch at Cafe 31 North in McHenry Tuesday. Oct. 18, 2016. The breakfast and lunch cafe opened their doors Oct. 10.